Universal Tool Routers feature a 0.9HP motor for extra stall resistance and a safety lock-off throttle. Universal Tool Routers also feature a rear exhaust that keeps the work area clean from cuttings, and are precision engineered for added reliability. Universal Tool Routers are designed with an ergonomic ''Softouch'' coating that offers ultimate comfort and reduces vibration and accepts templates that are offered by Sioux® and Dotco®. 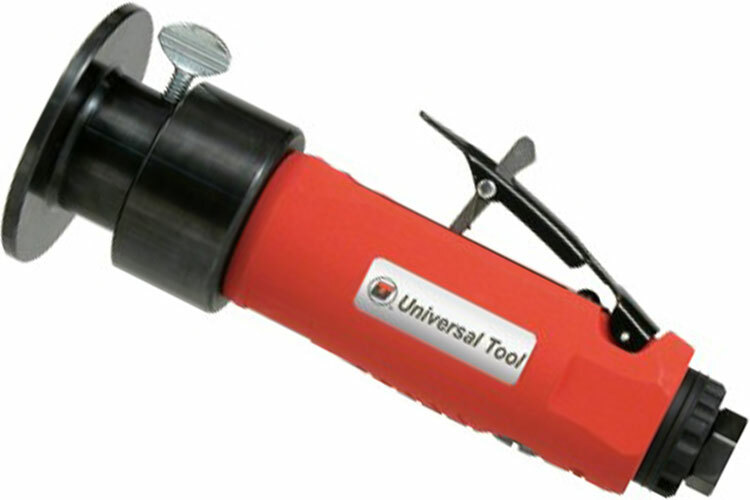 Universal Tool Routers are best suited for the removal of flashing from molded parts and trimming of plastic, wood, aluminum and fiberglass. The UT8728RT Universal Tool Router is one of thousands of quality tooling products available from MRO Tools. Please browse Universal Tool Routers for tools similar to the UT8728RT Universal Tool Router. UT8728RT Universal Tool Router description summary: Universal Tool Router. Motor (hp): 0.9 Motor (Kw): 0.65 Max. Wheel Diameter: NA Speed (RPM): 22,000 Exhaust: Rear Spindle/Collet Size: 1/4'' Weight: 1.5lbs/0.7kg Length: 6.1''/155mm Air Inlet (NPT): 1/4'' Rec. Hose ID (in): 3/8'' Quantity discounts may be available for the UT8728RT Universal Tool Router. Please contact MRO Tools for details.